Children are great fans of any project they can be part of, they have a genuine desire to help and enjoy feeling motivated. When parents are using traditional decorating methods, they can be understandably reluctant to let younger children join in. 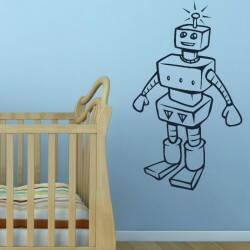 However, using wall stickers to brighten up a bedroom or a playroom, means you can let their natural creativity and playfulness run free. 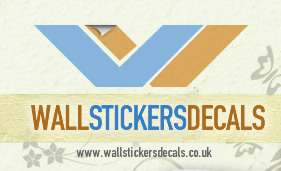 Stickers are self adhesive and you will not need any extra glues or pastes to apply them. So, with no spillages, leaks or mess to worry about, little helpers can safely play interior designer for the day. 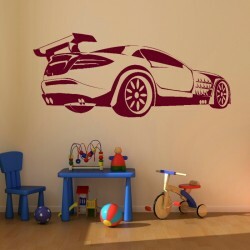 Children’s wall stickers are immediate and fun, perfect for impatient young minds. There are a range of themes, diverse enough to catch the eye of both boys and girls. 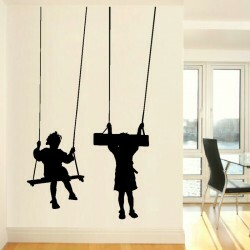 Epic tales can sweep across their walls in the space of a few hours, transforming the room and delighting the occupant. Whether you have a pink princess needing a magical castle or a tiny astronaut in training, they will be mesmerised by the colour and detail of these illustrations. For many children nature is a constant source of amazement, feed this interest by turning an average room into a wildlife haven. The untamed plains of the Serengeti or the wonders of our deepest oceans, can emerge from a previously lifeless wall within a few hours. 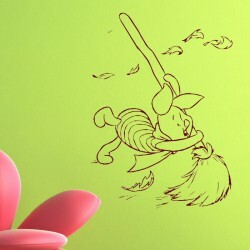 Every friendly creature can be placed just as your child wishes; children’s wall stickers are simply peeled away from the backing and placed on a clean wall. Try forming a protective arch of familiar characters around their bed for night time companionship, if you have a light sleeper. 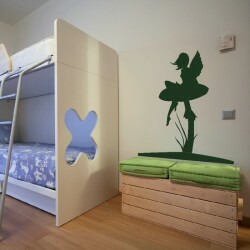 Or spend time composing a fairy tale fantasy land, to compliment their existing toy collection. 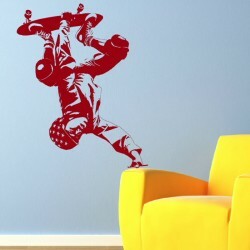 Wall art is an extremely popular way to decorate virtually any wall in the home. 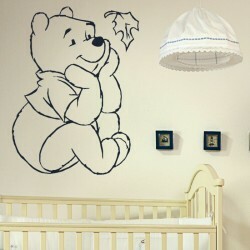 An entire room can be completely transformed with in minutes using wall stickers. 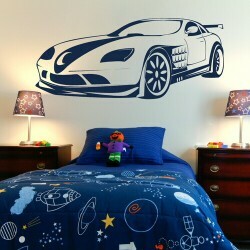 Using wall stickers in children’s bedrooms are particularly popular because of the selection of stickers, the ease of the project and the cost of the stickers as well. 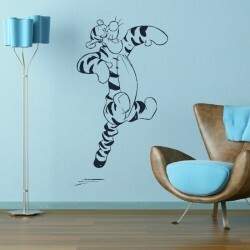 Using a variety of cat wall stickers, for instance, can turn a plain, boring room into a cat lovers paradise, in minutes! 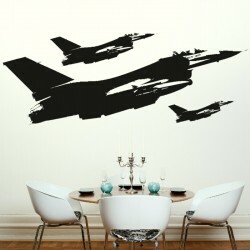 When it comes to wall stickers, there are literally thousands of options and the sky is the limit. 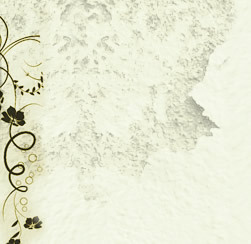 There are many varieties of themes, colors, shapes, sizes and price points. 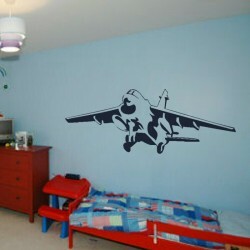 Many wall stickers have a special backing, making them both movable and removable without damage to the wall or paint. 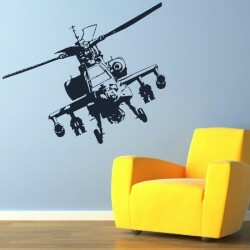 Wall stickers can easily be moved around the room or moved to another room, making them a great choice for a dramatic change to a room without spending a fortune. 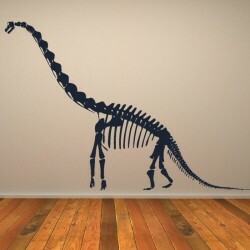 When choosing the wall stickers for a room, first, look at size. The size of the room, the size of the wall and the size of the stickers. 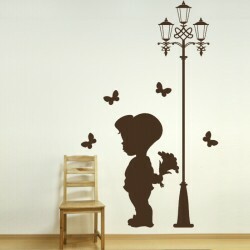 If the room is large and the wall is completely blank, a large wall sticker or group of wall stickers will look best. 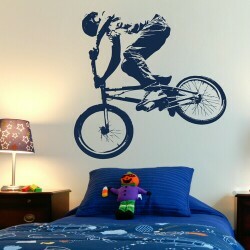 If the room is smaller or some of the other walls are already decorated, a small wall sticker or small grouping will work to further draw out the already themed room. Choose a theme. 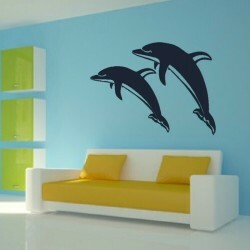 When looking for the perfect room stickers, choose a theme for the room first, then enhance that theme with the wall stickers. 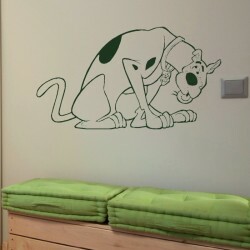 For instance, if the theme is dogs and cats, the bedspread could be cats and dogs, there could be a couple throw pillows; one with a cat and one with a dog and the wall could have a combination of cat wall stickers on one wall, and dog stickers on the other. 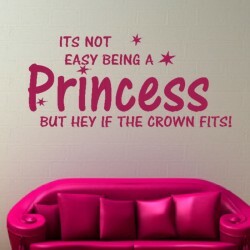 Keep in mind, most wall stickers can be easily moved or removed once they are placed on the wall so don’t be afraid to be creative and try several ideas on the wall. 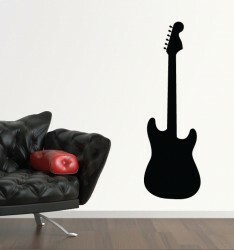 In conclusion, wall stickers are a great way to draw out or enhance any room decor. 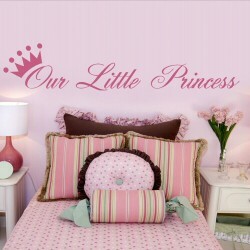 Wall stickers add a fun, whimsical element to any room and are easy to use, making them a great choice in decorating.